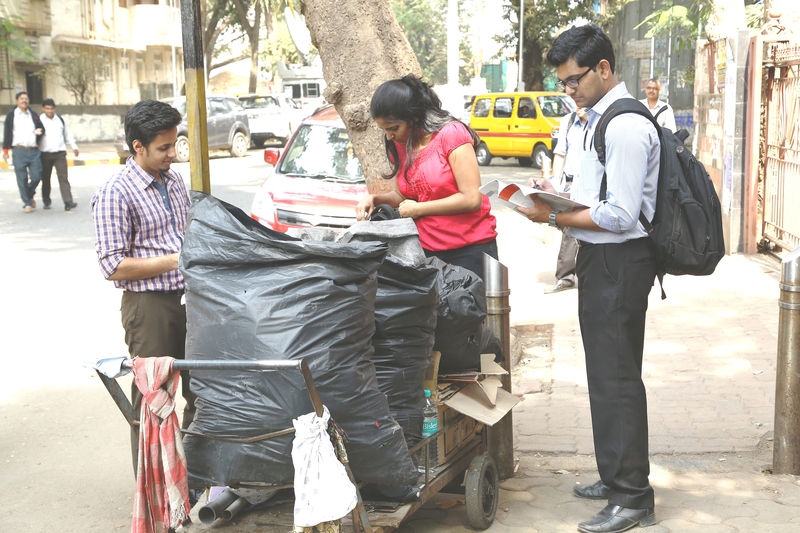 On taking a cue from the clarion call ‘Swachh Bharat must become a Jan Andoalan’ ,MBA students in the city are taking a lead in working with the stake holders by carrying out the cleanliness audit of a MCGM Ward. Six teams consisting of students, faculty and staff from Welingkar Institute of management (WeSchool) are currently busy visiting the G North Ward – Shivaji Park and Siddhivinayak temple areas, thrice in a day to inspect the state of cleanliness in the nooks and corners of the section assigned to each one of them. They are examining road cleanliness, waste bins, public toilets, collection of household waste, usage of plastic bags and also checking on the upkeep of trees and pots, maintenance of lanes and internal roads, cleanliness of footpaths and dividers in the area, thereby keeping the MCGM sanitation teams on their toes. 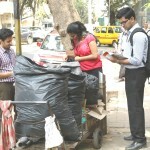 The enthusiastic teams from WeSchool are not only carrying out the audit based on the 13 parameters defined by MCGM , but are contributing area wise detailed pointers to the authorities based on their findings like – spaces in housing societies, shopping areas and abandoned old cars where garbage is accumulated, spitting nuisance, lack of proper signage, plastic and water logging, broken garbage bins, unused drainage pipes cluttering the area and many more. This drive that began on the 7thJan will continue till 17thJan and a comprehensive report combining the observations and evaluation will be submitted to the authorities for setting up an agenda for further action towards healthy ecosystems and improved quality of life in the city. “We got real life insights combined with a hands-on experience into a range of issues about citizen’s health and safety, environmental concerns and most importantly; the individuals’ responsibility towards their environment. It is important to instil among the stakeholders the need to take care of their environment as the elders need clutter free spaces for walks and recreation, children need open spaces to play, everyone has a need to live in a clean, happy and disease free atmosphere. 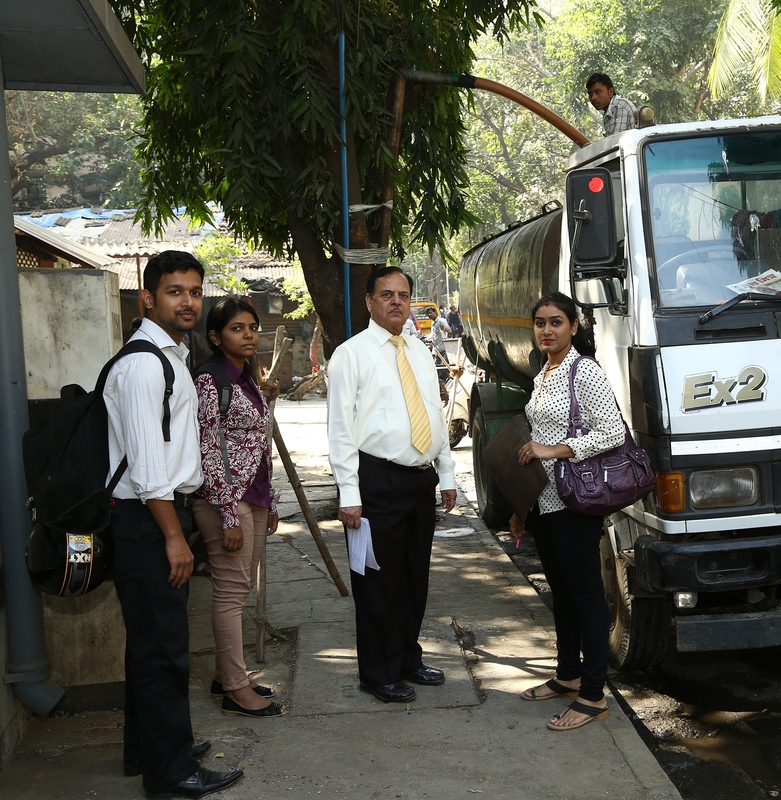 If each one of us contributes to the security, hygiene and overall beauty of the surroundings, the city, too, will experience development on all these fronts” said Anuja Kadam , from the MMS Batch at WeSchool, an active participant in the ongoing audit. While talking about WeSchool’s new initiative, Prof Dr Uday Salunkhe, Group Director said,” ‘Swachh’ begins with self ‘Swa’ , if one learns to manage and lead self; one can manage the organization and society. Institutions like WeSchool should collaborate with all stake holders for creating awareness, changing their mind-sets and empowering them for better governance, economic prosperity and sustainable environment. We expect that our young managers should become responsible citizens by moving from responsive to transformative contributors to the society. 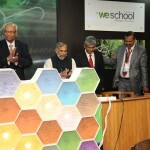 Together we can transform India and become contributors to change in the global context “. 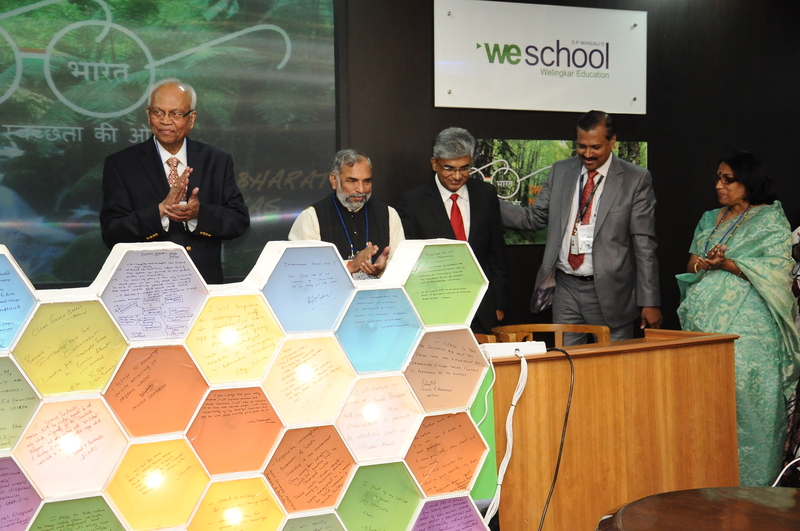 WeSchool had earlier conducted a roundtable, ‘Swachh Bharat- Naya Prayaas’ ,under the leadership of Padmavibhushan Dr R.A.Mashelkar, aimed at creating structures to bring about a positive change in every household in the country through diverse initiatives. The findings are presented to the Expert committee on Water and Sanitation set up by Government of India, headed by Dr Mashelkar that will form the agenda as well as action plan for Mission 2019 as envisioned by PM Narendra Modi.